So there was some talk in the universe about a new Batman actor to replace Ben Affleck. You know, the Batman actor who replaced Christian Bale… who replaced George Clooney… who replaced Val Kilmer… who replaced Michael Keaton… who replaced Adam West… to say nothing of the marvelous Kevin Conroy and a bunch of others you may have forgotten. 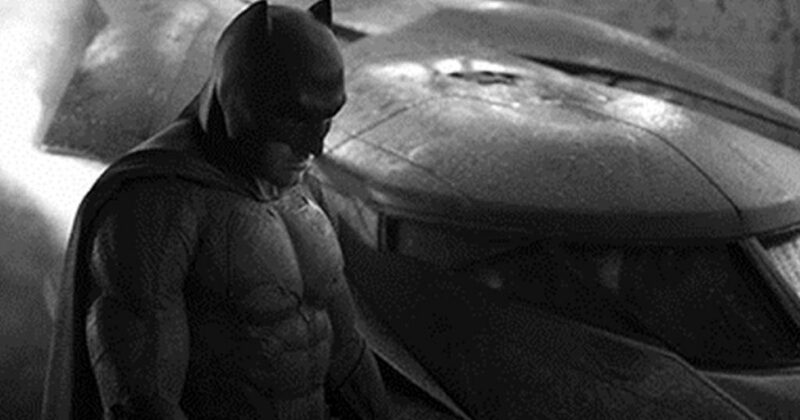 Some have made arguments for a black Batman. Within this camp, there are those who would love to see a black actor in the role of Bruce Wayne as a sort of colorblind casting effort, and others who would like to see the character of Bruce Wayne reimagined as a black man. These are two very different scenarios. On Twitter, Jamelle Bouie makes a rich argument in this trajectory, talking about how race in a black Batman would inform his entire life as a vigilante. But let’s say we leave Batman/Bruce Wayne as he is. Arguably, race still shapes his entire consciousness. Only he is free to ignore it. His whiteness informs and guides his narrative and “heroism.” Batman is “Batman” precisely because he is a rich white man in a [black] mask and cape. In many ways, the costume hides his whiteness (save for that magnificent chin) and allows him to move throughout Gotham with an aura of “fear” – his only real superpower. He isn’t like Spiderman or Iron Man, for example. Both of them have African American/Latinx counterparts to the original white characters in the Marvel Universe – Miles Morales and RiRi Williams. In DC, the “black” counterpart to the hidden-in-plain-sight Superman is Steel, an entirely different (and relatively forgotten) superhero. Same goes for creating a black Green Lantern. DC just made an entirely different character – John Stewart – while keeping the original white Green Lantern, Hal Jordan, around. The other recognizable black DC superheros – Cyborg and Martian Manhunter (who assumes a black visage), Batwing, Static, , and Black Lightning (who has an acclaimed TV show now) – are relatively insignificant. Others, like Black Manta, are villains. What are the possibilities for a black Batman? I like the idea, admittedly. But I also think Batman works as an entitled rich white man. Keep that energy. I’m more interested in exploring the possibility of a black Joker. Hear me out. 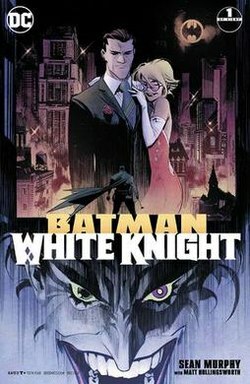 Over the summer, I had the pleasure of reading Sean Murphy’s run of Batman: White Knight (phenomenal comic/graphic novel), which digs into Batman (not just Bruce Wayne) as complicit in perpetuating the socioeconomic problems of Gotham City. It reads Batman as being as much a part of Blue Lives Matter as he claims to be anti-police. In fact, it makes Batman – who operates without oversight or accountability as judge, jury, and executioner – out to be the worst nightmare for black Gothamites (who often go overlooked in these comic stories). He fights on behalf of the 1% at the violent expense of the 99%. He doesn’t offer alternative forms of justice, but rather violently enforces law and order under the guise of charity and heroism. Batman is no good. And the one who exposes this, in BWK, is the Joker, who is “cured” of his insanity and becomes sort of a man of the people. Now this Joker is a white man, and is really just a more complex version of the Harvey Dent we saw in Nolan’s The Dark Knight. But, what if – vibe with me here – The Joker were black? Let’s go down that imaginative rabbit hole. This black Joker would be labeled insane by Gotham police, by Batman, and by us because as readers we usually take the perspective of those parties. But insanity is a legal and medical construct. As you and I know, legal and medical institutions in America have always operated in opposition to black lives, to the possibility of Black life, and to affirm and enforce a contrived social need to equate blackness with death or impossibility. And so, in our little experiment, the Joker isn’t really insane, but chooses to perform insanity and criminality because that is the role he is expected to play in this social environment. Batman is likewise expected to perform an oppositional role. Together, they perform a sort of metaphorical dance. One needs the other. Let us take it a step further. Not only does this Joker perform insanity, he wears a white mask, furthermore participating in this metaphorical dance with his counterpart Batman – a white man wearing a black mask. Of course our Joker isn’t just black but black and poor, on the margins of access to Gotham’s social world. His white mask – just like the hideous contraption in Batman: Death of the Family – now becomes a material critique of the society in which he intimately knows that whiteness gives people access. But his whiteness, now held up as a mirror, is frightening, and criminal, and violent, and insane. It is stark white, disfigured, menacing. Smiling. Perpetually smiling. This Joker is brilliant. “Genius-level intellect” is how you might describe him. But it isn’t the kind of intellect developed in the kind of schooling that someone like Bruce Wayne was served. It is an intellect developed through community and resilience. All of this, I should add, still maintains the Joker narrative. In fact, I think he works even better as a black man. He turns Batman’s “morals” on their head. He critiques Batman’s ethical line of not killing anyone – not to validate his own homicidal behavior but – to demonstrate that the liberty to adhere to such strict moral and ethical codes is a privilege in itself. They don’t really hold up in the blurred lines of the Joker’s – and in normal people’s – world. Batman wants to create and enforce order in a world he sees as disorderly, broken. He thrives on the promise of himself as Gotham’s White Savior in the shadows. 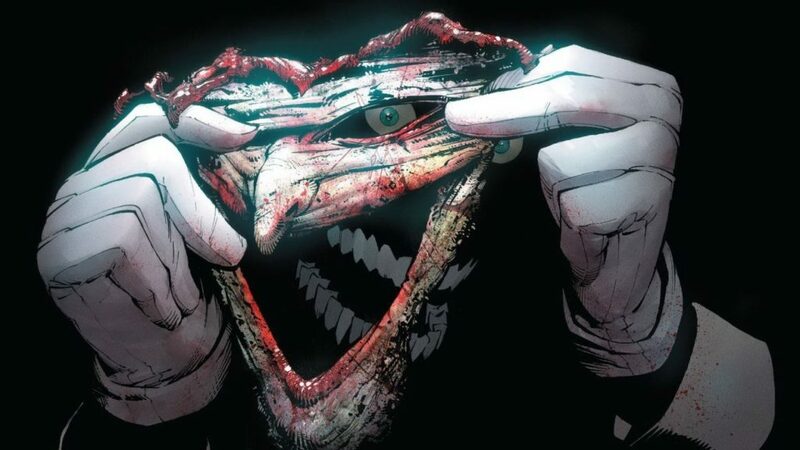 The Joker, however, relishes in what others claim as disorder and indeed contributes to that narrative. The problem is that for him, it’s all a performance, a joke. And so this is where our little fantasy ends. This is where the Joker-as-white works perhaps more than this black Joker I’ve been speaking of. A black Joker is one who cannot afford to see the world as a joke, and takes himself too seriously. I don’t think that would work.